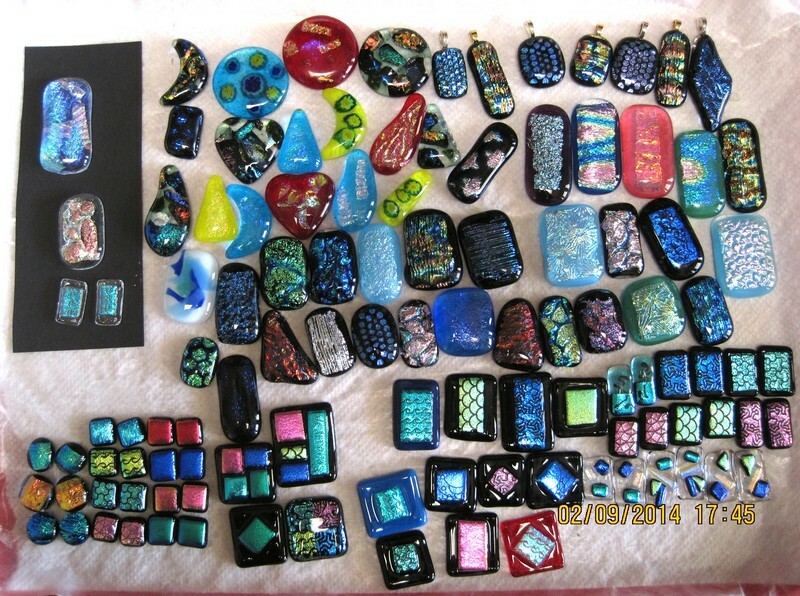 A lot of pieces out of the kiln …. 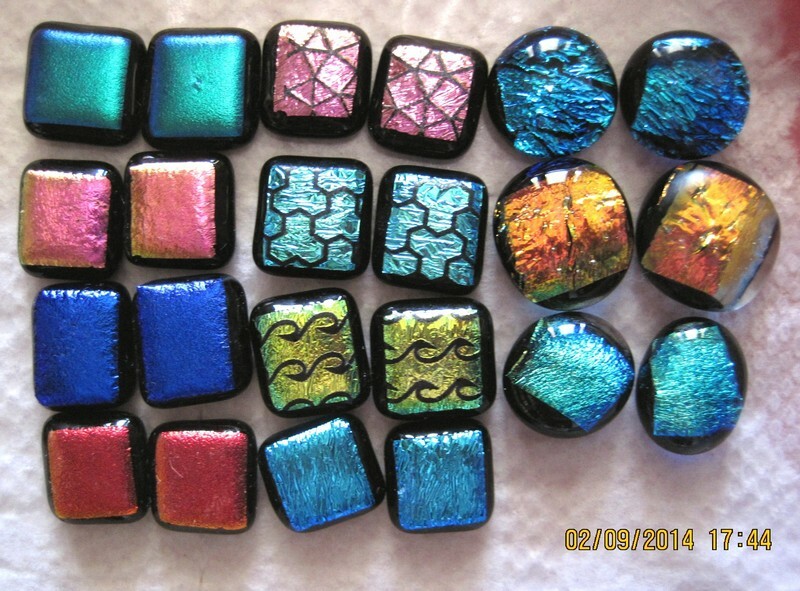 they will be pendants and earrings. 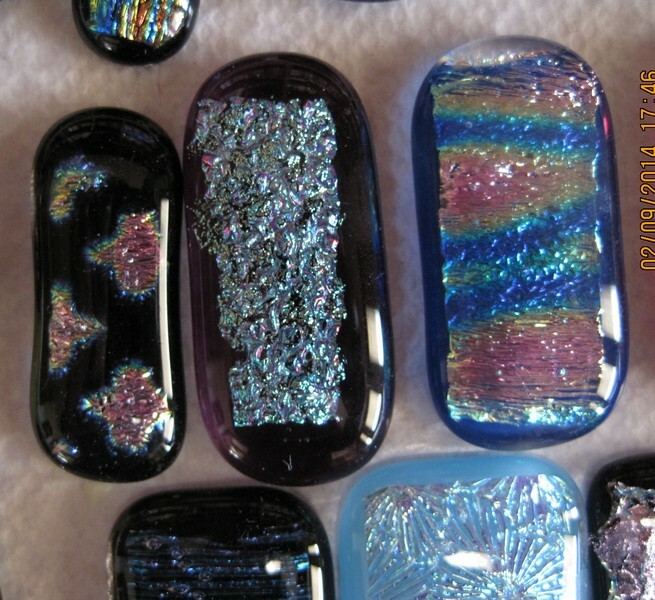 Close up … future pendants. 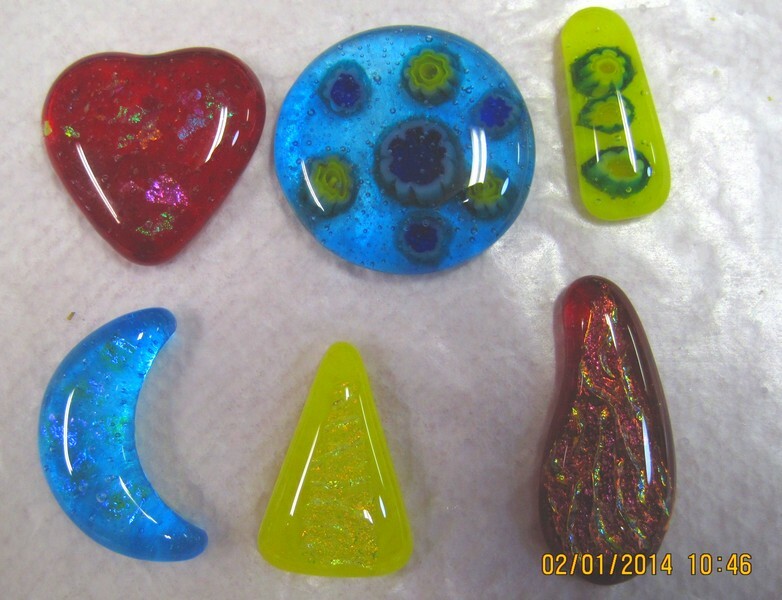 Future Fused Glass Pendants …. 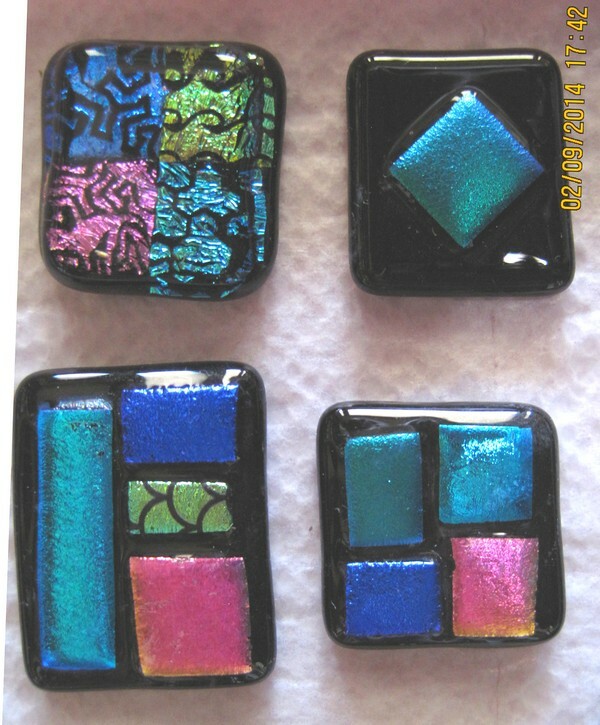 made in the kiln using a mold.